Wendy is a wife to Scott, mother to Blaire and Griffin, author, speaker, and Bible study teacher. She loves lazy Sundays watching golf with her husband, thrift store shopping with her daughter, and watching building shows with her son. 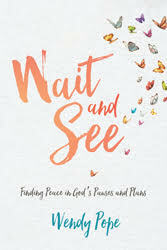 Wendy is the author of Wait and See: Finding Peace in God’s Pauses and Plans. 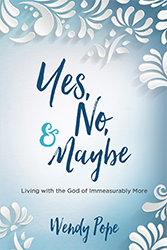 She is a contributing author to the Real-Life Women’s Devotional Bible, Encouragement for Today: Devotions for Daily Living, The Reason We Speak, and God’s Purpose for Every Woman. Wendy writes devotions for Proverbs 31 Ministries Encouragement for Today and is a content provider the free online devotion app, First 5 as well as member of the Proverbs 31 Ministries Speaker Team. She leads women all over the world to life change through her in-depth online Bible studies. She has led thousands of women through her Read Through the Word study of the One Chronological Bible. She is witty, down-to-earth, and transparent. Wendy teaches in such way that every woman feels that she is speaking directly to their heart.